Rated 5 out of 5 by LDeMoiseyMUA from Great for Combo Oily Skin! I love this moisturizer! 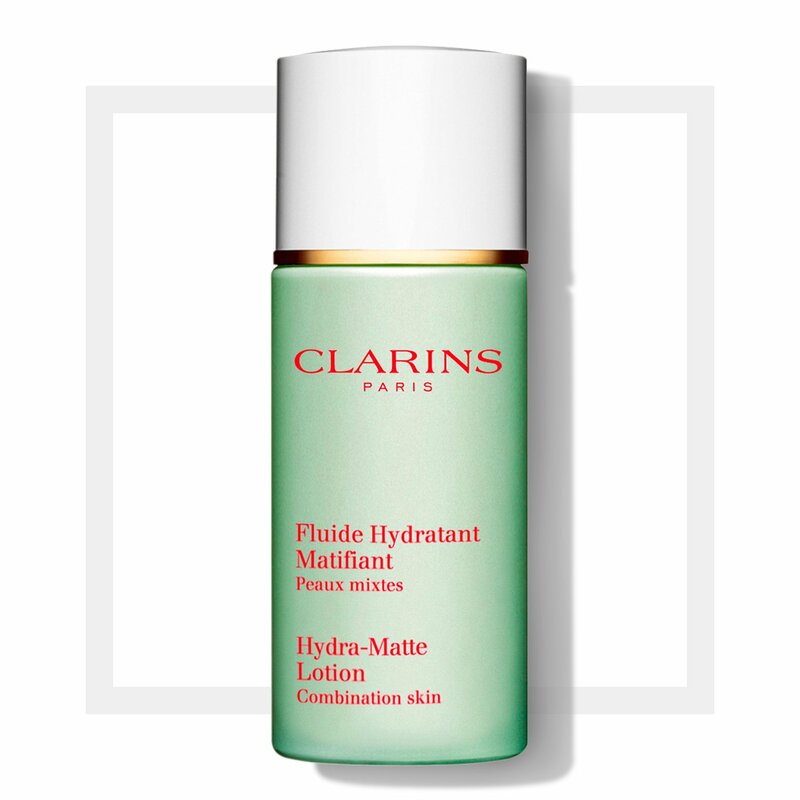 I was looking for a moisturizer to use under my BB cream to help keep me matte but hydrated, while randomly chatting with a Clarins lady at Macys I decided to give it a try. I love it! I'm on my second bottle! Rated 4 out of 5 by KellyPS from Nice Moisturizer... I have been on the hunt for a matte oil free lotion for my face, since another retailer discontinued the one I had been using for years. This lotion is light and makes your skin feel fresh and clean. It doesn't add too much oiliness to your face, but I wouldn't say that it's extremely matte either. Obviously it depends on the person, but I do still need to use a primer to keep the shine at bay. No product will actually MAKE your pores smaller, but you can use different products to reduce the appearance of them. A shiny face definitely emphasizes pores...so if you're still having problems with shine, even after using this moisturizer, I would recommend a primer, whether you wear makeup or not - they are a godsend. Rated 5 out of 5 by woodtiger from Bought it recently for winter time. Using Ultra Matte for the summer. Works wonders. Gives enough moisture for my oily skin but not overly greasy and sticky mid-day. Still has some shine mid-day but not as bad as when I used different brand. Rated 3 out of 5 by Marysun from Didn't work for me (combination skin). I've got acne and bought this product along a roses toner no the tamarind foam... This lotion neither gave a matte image nor moisture. 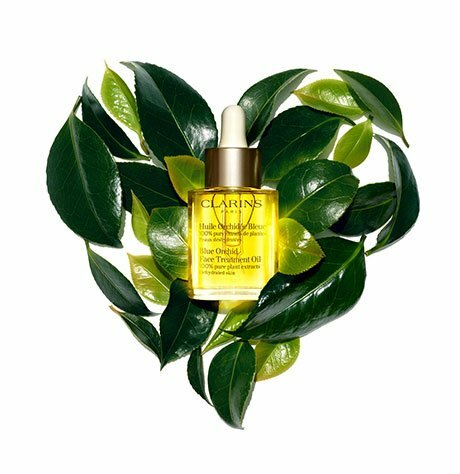 I think it depends on the person also, because I have tried other Clarins products and are really good. Rated 5 out of 5 by MrsKoller from Skin is precious The one thing I learned as a teenager with what I thought was the worst skin on the planet was that I had to take care of my face. I learned to look at it as true pampering every morning and night but when you have skin and pores like mine, you cannot skip out so the positive attitiude about taking care of your face is key. Our pores look larger when the face is not kept clean and appropriately moisturized. I exfoliate twice a week, keep my hands away from my face whenever possible, keep hydrated and use the Truly Matte line. My skin actually feels joy and while you are stuck with the pores you are born with, you can reduce their appearance by keeping your skin clean and hydrated. The Hydra-Matte lotion is perfect by itself and as a primer for my makeup. Even in my late 40s I used to shine up like I had an oil slick on my face, but never again with this product. I highly recommend it - and it works even better with the other members of the Truly Matte line. Rated 4 out of 5 by Lavenderstory from Refresh: yes; Pore, no. The same as the serum in this line, it is a very nice product in terms of refreshing and gentleness. But didn't work on my visible pore. Rated 5 out of 5 by KC720 from Perfect for oily skin I tend to get very oily throughout the day, and this product truly gives me the right amount of moisture after cleansing. I have very sensitive skin, which breaks out easily. This product has never broken me out. The true test that it's great? My husband has now started using it!